"The box contains the heart. The essence of a god. I have devoted my life to the Elder Scrolls, but their knowledge is a passing awareness when compared to the encompassing mind of divinity. The Dwemer were the last to touch it. It was thought to have been destroyed by the Nerevarine, but my lord told me otherwise." He will then reveal who his 'lord' is: "The Daedric prince of the unknown. Hermaeus Mora. I thought there were no secrets left to know. Until I first spoke to him. He asks a price -- to work his will. A few murders, some dissent spread, a plague or two. For the secrets I can endure. In time, he brought me here. To the box. When you tell him you inscribed the Lexicon, he will take it from you immediately. My character won't willingly serve. Is it necessary to complete this stage before continuing with the MQ or Dawnguard, scroll tucked in your backpack? This is the quest for a Daedric artifact. You can continue the Main Quest or Dawnguard without finishing it. In fact, Septimus doesn't take the Elder Scroll, he just needs the photocopy inscribed in the Lexicon. You can say "I will never serve you, vile demon!" in your exchange with Mora. You simply are an unwitting servant at that point. Besides, Septimus is in for some, ahem, heartbreak if he opens the box. Thanks, yes I've played it through before but couldn't remember if you had a choice to say no. I think my character will stop short this time. Poor woman is very gimped with the moral "walk" she has chosen. I park Eola (the key to Namira's quest) at the entrance to Reachcliff Cave and leave her waiting forever and ever. Not so much for the moral quandaries of murder and cannibalism-- I simply don't want to come upon that creepy worshipper who is about to have dinner because it takes out one less random world encounter. I cringe every time the Vigil says , "The Mercy of Stendarr does not extend to Daedra worshippers." She ...did... kill Tyrannus. And she did free the priest of Boethiah because, he was in Madanach's camp. 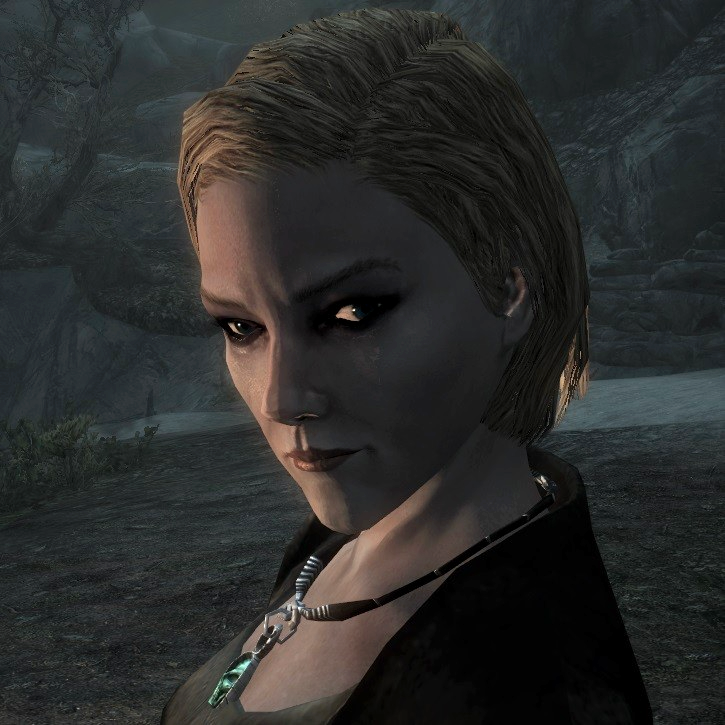 And she was in the Forsworn Faction. But she never went back to Molag! She Serves not the Daedra! I always just pretend that they're telling me about Stendarr's general policy rather than looking down their noses at me specifically. Just because I engaged in several Daedric quests and acquired some Daedric artifacts doesn't mean I worship the Daedra. I mean I don't see those punks coughing up any Aedric weapons for me to save the world with, so they can step off.